From having to overcome a negative reputation to trying to appeal to a new demographic, there are many reasons why a company might need to undergo a rebranding. Rebranding can be a positive change for a business, so long as it is done with the best intentions, and thoroughly thought through. However, there are a number of things to consider, such as what aspects of the business you’d like to change, and the best way to implement those changes without too much distress to your company, employees, and customers. With that in mind, here are four tips for you to consider when rebranding your business. If you are considering rebranding your business, you must have good reasons why you think it would benefit your company. However, in order for a rebranding to be successful, it is important to have clear aims of what you hope to achieve, rather than just a general idea of the differences you hope to make. Therefore, your first step in changing your business’s image is to ask yourself why you are doing it, and what you hope to achieve. Write down all of your goals for your company, and try to pinpoint certain changes which you think will help you to achieve them. There is no point doing a rebranding if your new image is going to be as unsuccessful as the last, so before you make any changes, it is important to do some research to ensure you would be making a positive difference. For example, you could start by holding a focus group with people who sit within your target market and ask them questions about what they look for from a company, as this will give you an idea of what image to aim for. 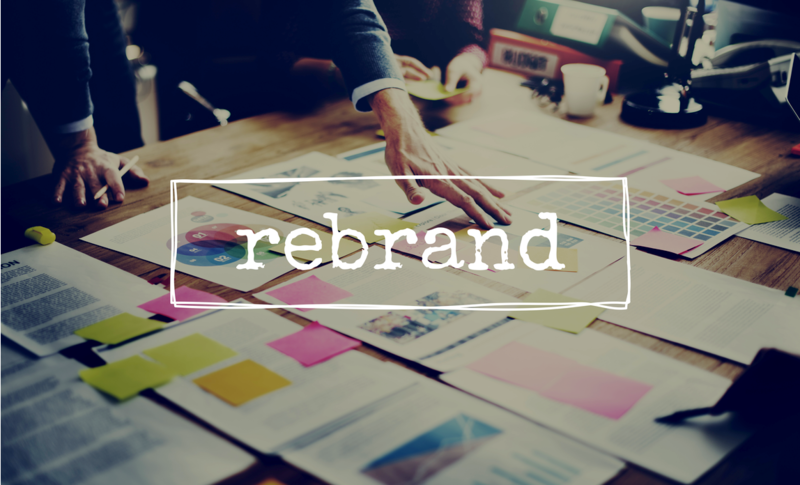 Don’t forget; rebranding isn’t just about aesthetics, it’s also about your company’s agenda, policies, and practices, so make sure to research into all of these factors. Think about every aspect of your branding, from your logo, taglines and the face of your company, to advertising, online presence, and marketing material. Rebranding is an expensive venture, so it is important to get everything right the first time around and to plan for any unexpected events. If this is something which you feel does not fall within your own personal expertise, then it might be wise to enlist the help of ClickFirst Marketing, as they can help you make informed choices in order to reach your company goals. If you want to keep your existing customers, then it is important to inform them that you are undergoing a rebranding and be prepared to answer any questions or concerns they may have. You should also make your rebranding more broadly known, as well as the motivations behind the changes you have made. While customers can be wary of change, many people will be comfortable with the new image once they understand the reasons for it, and can see that the change has made a positive difference, so this is a message that you should push as much as possible.